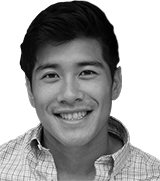 October 16, 2018, 5:00 p.m. Almost a decade has passed since Kanye West infamously hopped on stage and interrupted Taylor Swift’s speech during the 2009 VMAs. In his opinion, it was Beyonce’s ‘Single Ladies’ video and not Swift’s ‘You Belong with Me’, that deserved to win the Best Female Video category. Based on their endorsements within the last week, the two music artists again share the same spotlight but this time, it’s set on a political stage. On October 7th, Taylor Swift used her star power to post her support for two Tennessee Democrats on Instagram – Phil Bredesen for Senate and Jim Cooper for the House of Representatives. Four days after the tweet, Kanye West paid a visit to the White House and had a personal audience with President Trump. Kanye wore what has become a staple of his wardrobe – a red cap with Donald Trump’s campaign slogan, “Make America Great Again” – and commended the President on his actions regarding North Korea and they embraced at the end of the meeting. According to YouGov Ratings, one in ten Americans have a ‘strongly positive’ opinion of Kanye West (hereinafter referred to as ‘West’s fans’) and nearly one in four (23%) have a ‘strongly positive’ opinion of Taylor Swift (Swift’s fans). 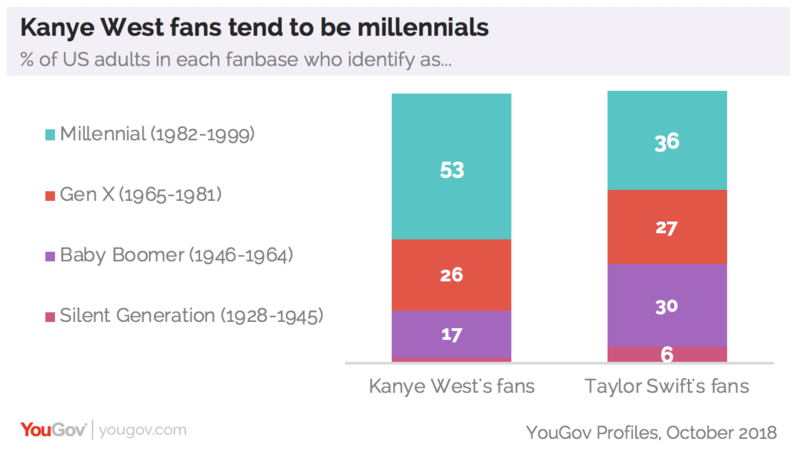 A look at age shows that while more than half of West’s fans are millennials (53% vs. 36% of Taylor Swift fans), Taylor Swift’s popularity extends to older age groups. In the wake of Hurricane Katrina in 2005, Kanye West proclaimed on national television that “George Bush doesn’t care about black people”. At the time, West seemed to be criticizing the President and the Republican party’s delayed response in aiding ravaged communities made up predominantly by people of color. Thirteen years later, West’s script seems to have flipped and his most recent rip to the White House is evidence of his support for Trump and the GOP. Notably, the data suggests that many of these fans identify with party politics counter to what each music artist is endorsing. While Kanye West endorses President Trump, a Republican, 43% of Kanye’s fans think of themselves as Democrats. 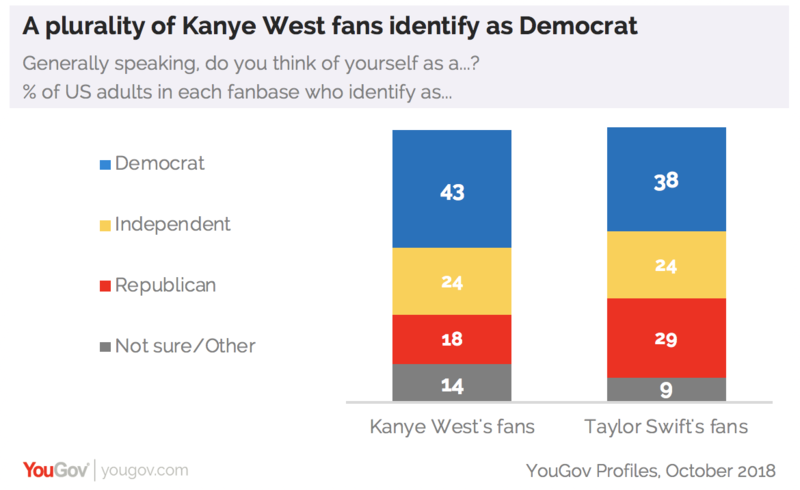 Taylor Swift has thrown her support behind Democrats, the party that a plurality (38%) of her fans identify with, but Swift’s fans are significantly more likely than West’s fans to identify as Republican (29% vs. 19% of West’s fans). The second part of Taylor Swift’s social media post was aimed at encouraging her followers to go out and register to vote before Tennessee&apos;s deadline on October 9th. As of October 7th, 16% of Swift’s fans and 27% of West’s fans say they are not registered to vote. According to Vote.org, there was a significant uptick in national voter registration after Swift’s tweet.